WREATHS is a 5-piece band from Asbury Park, NJ who self-describe their sound as “dream punk.” Released by Killing Horse Records, their new self-titled album melts psychedelic rock into a frothy landscape. 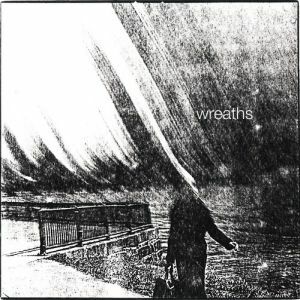 Wreaths is the bands debut full-length release, coming in digital formats and on compact disc. Eight seething tracks take us from extensive space rock journeys to dense, bruising dream punk. Track lengths differ anywhere from two to 13 minutes, proving that their sound unfolds in a variety of ways. Opener “Coke Straw” sets the tone quickly, placing us into a hazy mix of warbled guitar textures. Rattling percussion and heavy thuds make up a loose rhythm, held together by rumbling bass lines. It all morphs into a monumental finale, capped off by a wave of explosive guitar soloing. “Piedmont Aire” encapsulates their sound into a swirled daze, starting out light and feathery before gaining some serious momentum. Gentle and warming lead vocals set us up for the fluorescent trip that swallows the whole track. Colored guitars pick up speed and place us in a cloudy whirlwind, wrapping us into a dazzling finale. Get listening below for a look into Wreaths smoldering dream punk, then keep your fingers crossed we get to hear this on vinyl someday. BUY the album from Killing Horse Records ! 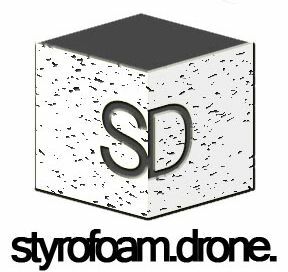 Posted on April 16, 2014 by styrofoamdronePosted in LP, Reviews, Still Spinnin'Tagged dream pop, Killing Horse Records, psychedelic, shoegaze, slowcore, Wreaths.